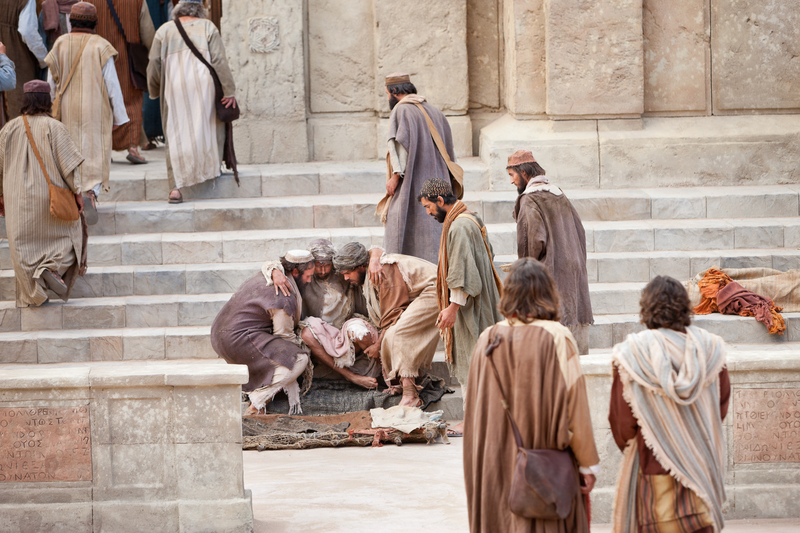 Peter and John walked through the dusty streets heading toward the temple at the hour of prayer. Perhaps you know the story. There not dressed in any striking fashion, not wearing their Saturday bests. It’s just another mid-afternoon prayer time. I dig through my pockets; Hand over a dollar or two; Make him promise not to buy liquor or drugs with it; Make my way to church; Pat my self on the back; Check—care for the poor—off my list.